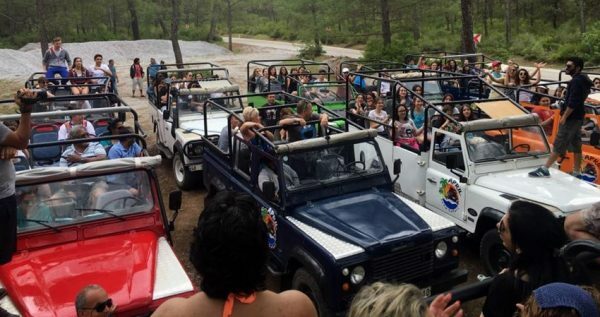 If you’re looking for a day off from your holiday rutine in Turunc, our Turunc Jeep Safari Tour is just the right adventure for you. Take one whole day long pause from the holiday town and have a great experience in gorgeous Turunc mountains. 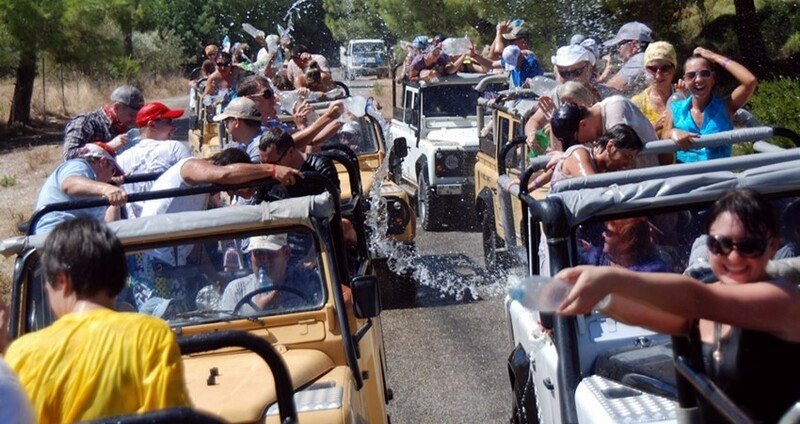 Our jeep safari tour starts with a comfy ride from your hotel in Turunc at 09:00. Our spacious military designed jeeps are a four wheel drive, and fully open, so you can have a panoramic view of the gorgeous scenery around you. 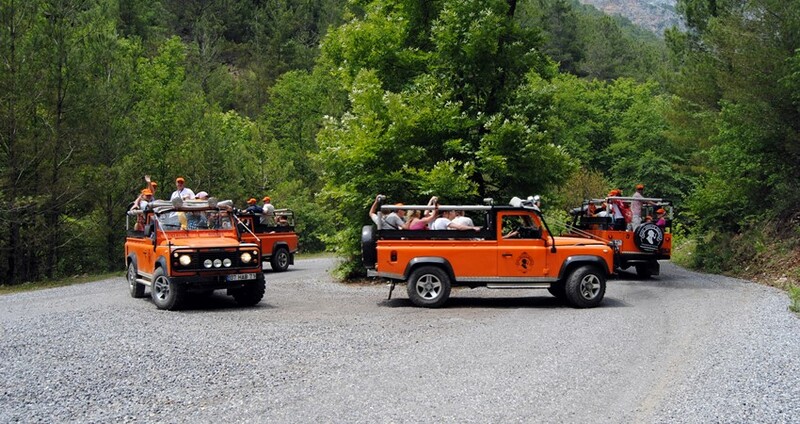 You will get to fully enjoy the vibrant nature as we drive up through beautiful pine forests and into the mountains. 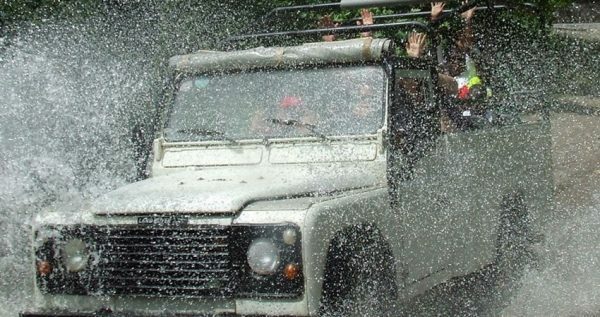 Your safety is our outmost concern, and our jeeps are driven by professional and most experienced safari drivers. 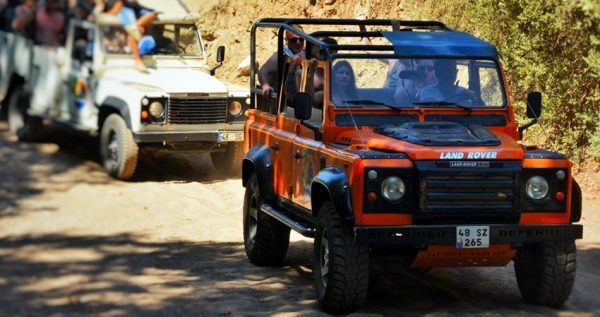 This route consists of bumpy and fun dirt roads and some well designed muddy tracks. Maximum speed limit is 50km/h, so you can relax and soak in the astounding scenery around you. We also acquire services of English-speaking tour guides, so we can understand and fulfill your needs as good as possible. This fascinating route through wilderness includes visits to the village of Turgut, known for Turgut National Park, a wonderful waterfall on its outskirts. 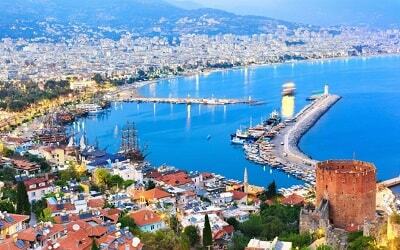 It is also where famous Marmaris honey is produced, and you will get to see many honey camps of the beekeepers, who set out hundreds of beehive boxes to foster the making of this great delicacy. 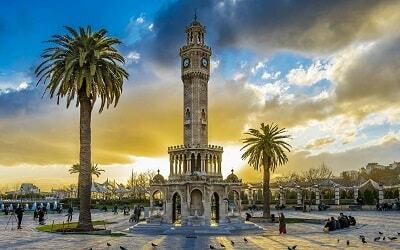 While in Turgut, a delicious traditional Turkish lunch will be served in a local restaurant. 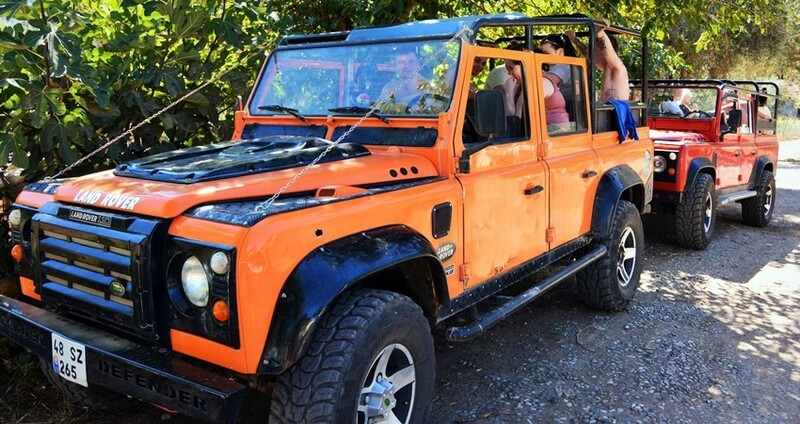 Turunc Jeep Safari Tour also includes a fantastic visit to Jesus Beach in Orhaniye Bay. This great bay is well known one fascinating natural phenomenon, as the sandy underwater wall divides this wonderful gulf in two, so you can take a walk in the middle of the sea. 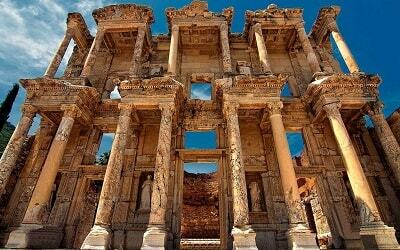 Once our adventure ends, we will take you back to Marmaris bus station, where you can catch a dolmus and travel back to Turunc. Last, but not least, we should give you a few pointers in order to make this tour as relaxing as possible. Don’t forget to bring your swimsuits, towels, hats and cameras. Don’ forget to protect your cameras and all electronic equipments from dust and water. Don’t miss Turunc Jeep Safari to take a day off from your hectic schedule and enjoy this innovative escapade, which will make this vacation your most memorable vacation yet. Comfortable Clothes, Towel, Swimsuit, Sun Cream, Sunglasses, Hat, Camera. We advise you to put your electronics in a plastic bag as your day will be full of water and dirt. 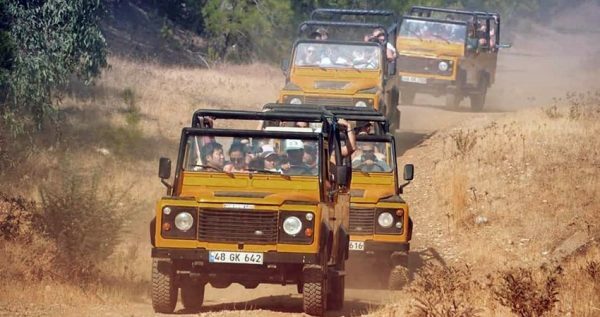 If you like adventure and safari tours then also read Turunc Quad Safari. 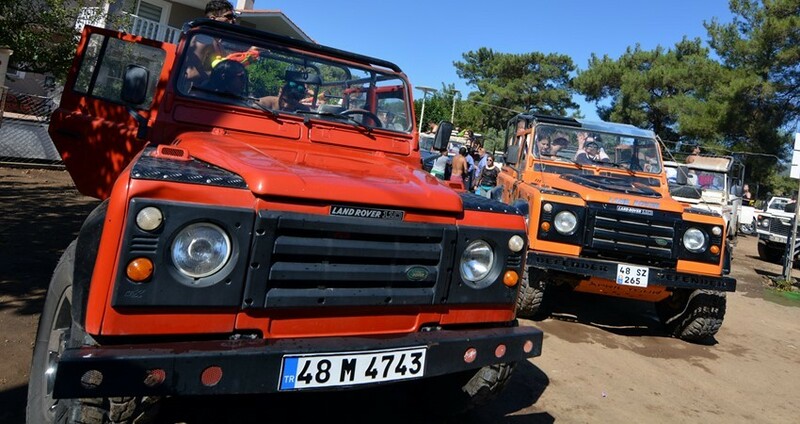 This exciting tour begins with a free pick-up from your hotel in Turunc and takes you for a short ride in one of our comfortable jeeps. 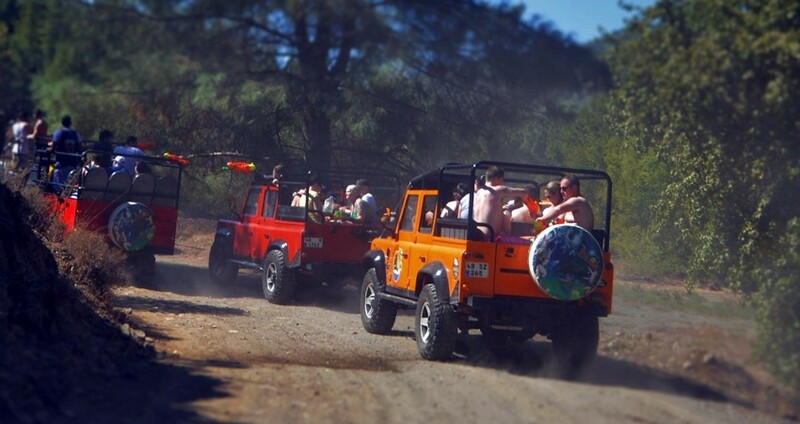 Once you arrive to the Jeep Safari meeting point up in the hills which overlook the town, we will regroup and start with our adventure. Once we regroup we will take a 15-minute drive to a small field bellow the hills. 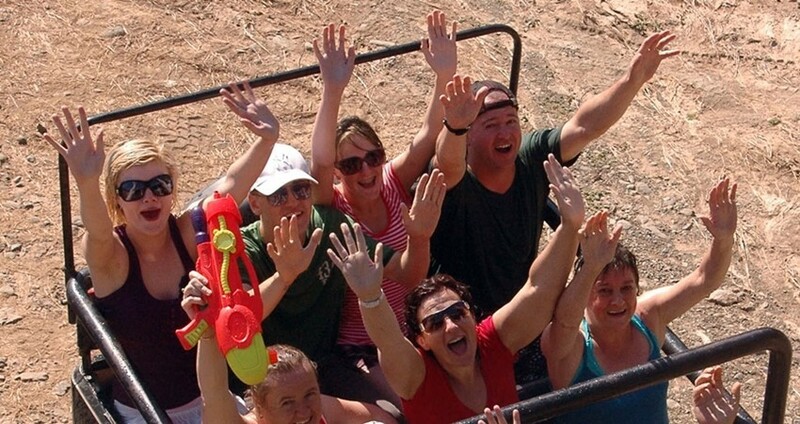 There you will get a chance to rent water guns, which comes in handy, since our exciting journey tends to get dusty and muddy. After a one our long drive through the captivating nature, we will take a break at the secluded spot, equipped with showers, cafeteria, toilets and a small swimming pool. This part of our journey is meant solely to help you freshen up, so we can continue out tour in even better mood. Next, we will take a picture-break and visit the gorgeous waterfall located near a charming little village. You will be able to make some wonderful camera shots and take a dip in the water. We should warn you that the water here is very cold, even during the summer. After a few hours of a fun drive through the nature, we will have a lunch break. Drinks will be at your disposal as well, but they are not included in the tour price. We will also visit the captivating Jesus Beach. This beach is very popular because of one unique natural phenomenon. It is naturally made sand wall, which is dividing the gulf in two, forming a path directly through the sea. We will spend one hour here, so you will get to enjoy all of the charms of the marvelous Jesus Beach. 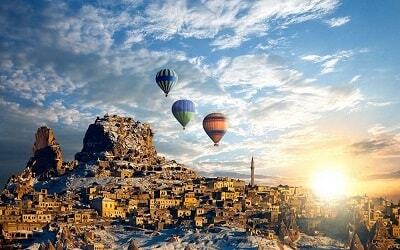 Once our journey is over, we will drive you back to the bus station where you can catch a next dolmus back to Turunc.